THANK YOU to all who donated blood at Barthell O.E.S. Home's Blood Drive with LifeServe Blood Center on 1/8/19. It was our most successful drive yet. There were 23 donors, which will impact up to 66 lives. Thanks again for making a difference! 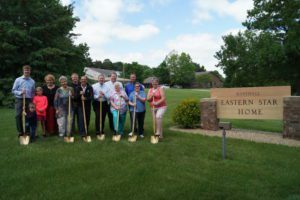 The official Ground Breaking for phase 1 of our 3-phase construction project took place in June 2018. 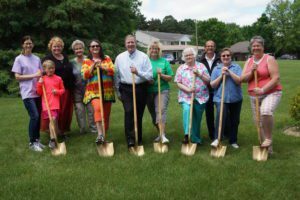 The 1st phase is the construction of Barthell Bluffs townhomes, which will be located on the hill next to the nursing home. Construction should be completed by Summer of 2019, and we are now accepting reservations for Units. See more information here. By providing loving care to those we call our family. We provide compassionate care and assistance to the elderly of our communities. We encourage you to stop in for a tour today! 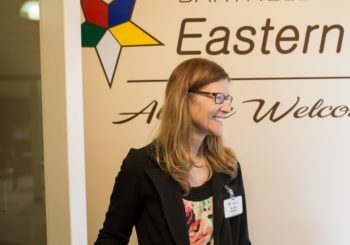 To schedule a tour or to add your name to our waiting list, please contact our social worker at 563-382-8787 or nhageman@easternstardecorah.com. 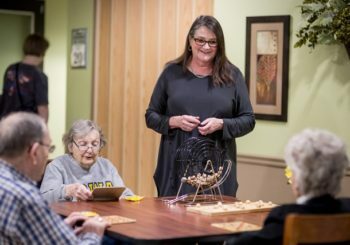 Daily activities are available for a broad array of interests, including music, educational programs, van outings, Bingo, wellness activities, regular church services, and more. There's something for everyone to enjoy, and families are welcome to join in on the fun! See the Calendar link for copies of our monthly Activity Calendars. Interested in volunteering? Please contact our Activity Director, Mae Schmitt, at 563-382-8787 or mschmitt@easternstardecorah.com. We offer a supportive, caring environment to meet your loved one's needs, and can help determine what level of care is needed. 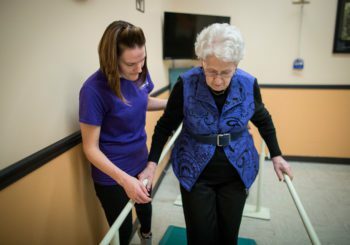 We offer Independent Living, Assisted Living, and Nursing Home care.Please call us with any questions or to request that an informational packet be mailed to you. Barthell OES Home adheres to HIPAA guidelines.